A great way to sort out and organise your files is to use folders on the media library. Press the ... icon that appear on the right hand side and then choose new folder. A pop up will appear and you will be able to name your folders. 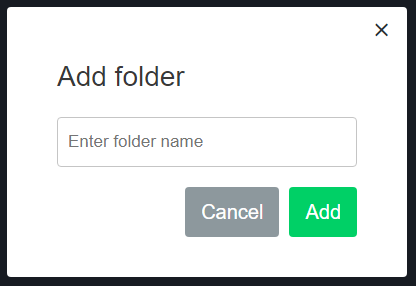 Once your folder is created you will be able to move it, rename it or delete it clicking on the ... icon that appears on the right. To move files to the folder of your choice click on the ... icon that appears on the right of each file and choose the option Move to, then choose your folder.